What a beautiful picture, suitable for a delicious-sounding combo. I agree, the gravy does look striking over the red potatoes. 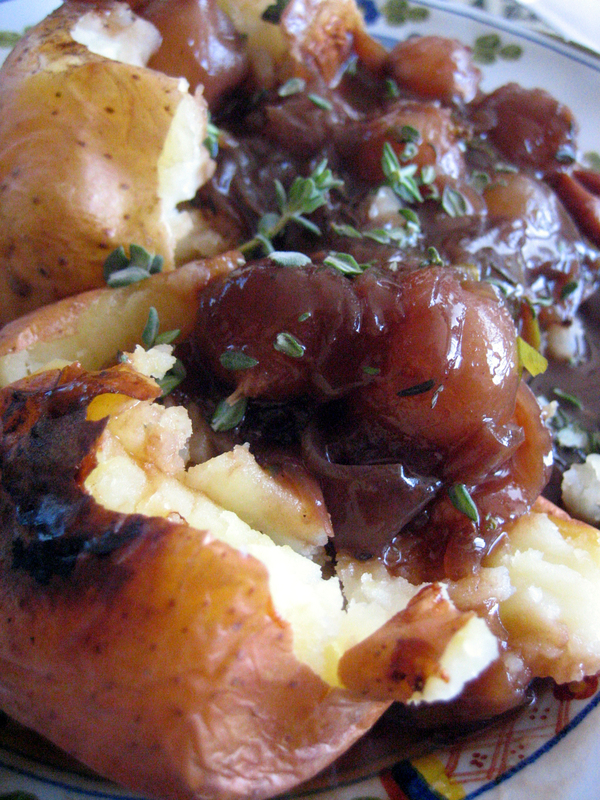 I love the idea of sweet and savory and gravy. Very cool recipe/idea. It looks like there are some whole cherries in the gravy too, or those just the pearl onions? Good eye! I did garnish with some dried cherries. Again with the sweet and savoury – Actually, I’m learning that I like it more than I thought… I may try this soon! Did I tell you I made this last week or so? And it was (of course) SO YUM! !